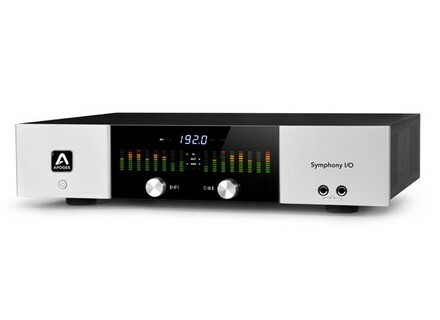 Symphony I/O, Thunderbolt audio interface from Apogee in the Symphony series. The Symphony I/O Release 4.2 can be previewed at the NAMM Show, Apogee Booth #6500, Hall A. Check out www.apogeedigital.com for more details. [NAMM] PreSonus Qmix PreSonus announces Qmix, designed to let you perform monitor mix control via iPhone/iPod touch. [NAMM] Apogee Symphony 64 | Thunderbolt Apogee introduces 64 Channel Thunderbolt connection for Apogee Symphony I/O. [NAMM] MOTU Digital Performer 8 MOTU has announced at NAMM its new Digital Performer 8 sequencer in 64-bit and for Windows.